Create a personalized account to create customized bookshelves and save annotations, highlights, and bookmarks. World eBooks are always available with no holds required and can be read in World Book’s customized online viewer. Users can sign up for a personalized account to create customized bookshelves, save annotations, highlights, and bookmarks, and download titles to supported mobile devices(*). 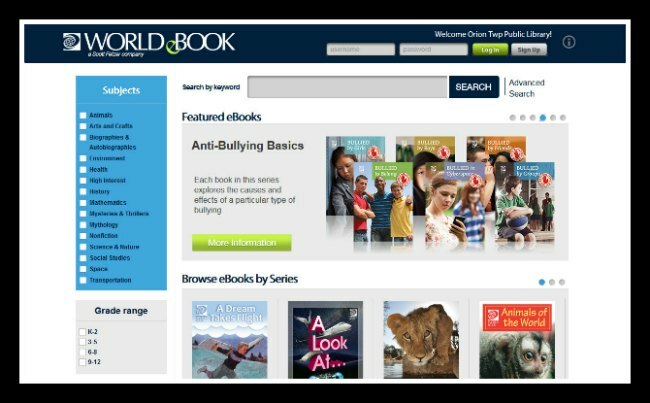 Ready to start using World eBook?